What different Ubuntu derivatives are there? And what is special with them? The main two differences between Ubuntu and its derivatives are the backing and the default installed packages. For all official derivatives, you can convert between variants by installing certain packages. 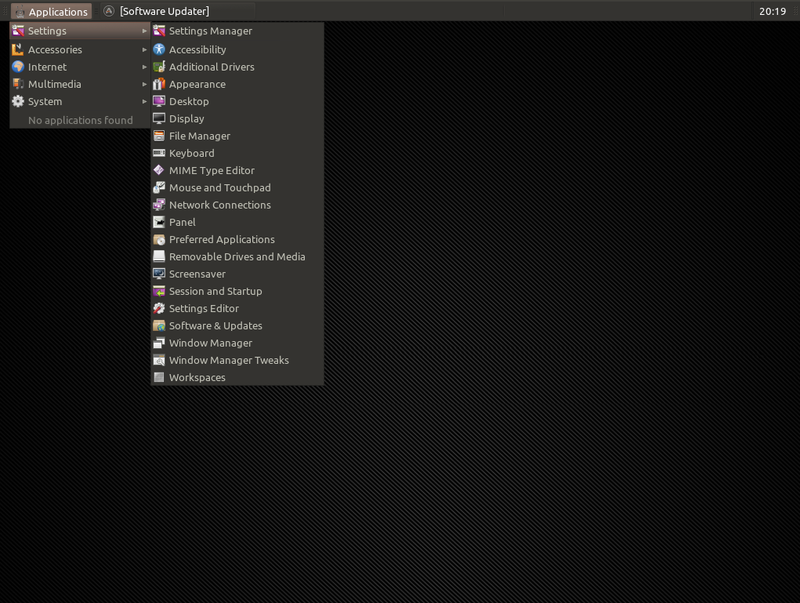 Ubuntu comes with the Unity desktop environment. 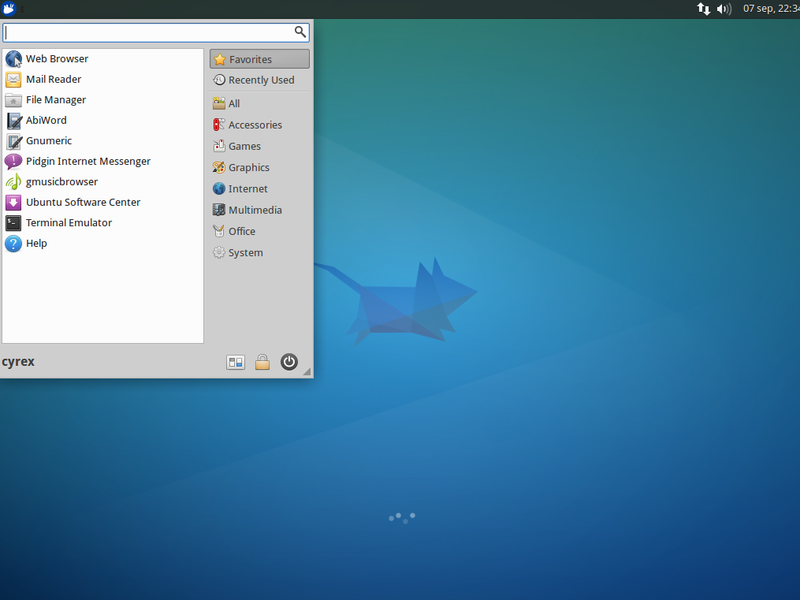 The underlying Unity platform is still GNOME, but instead of using the GNOME Shell interface, Unity uses the Unity shell. 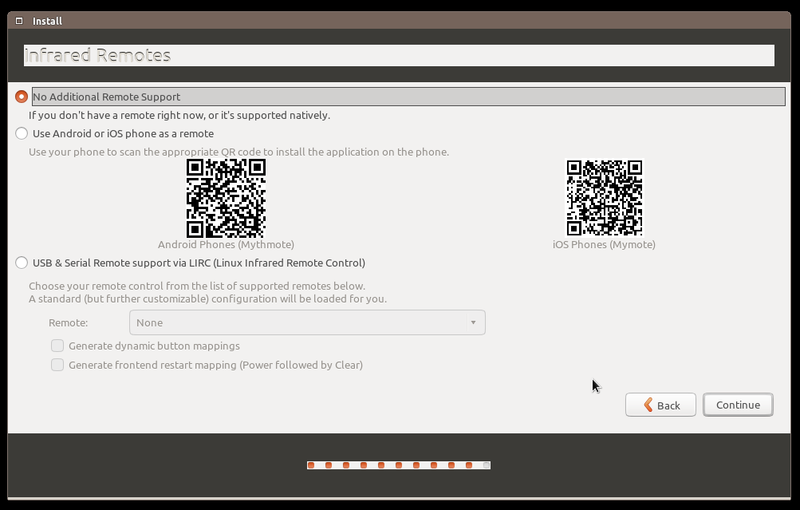 Ubuntu and Unity are commercially backed and supported by Canonical. 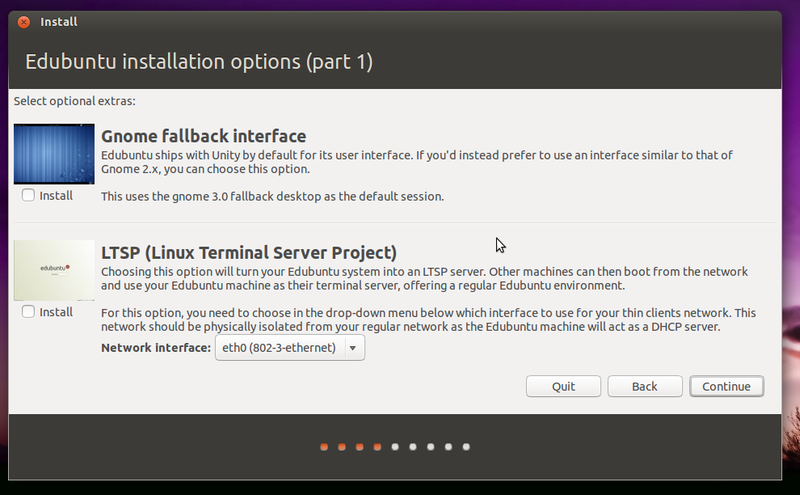 To convert an installation into regular Ubuntu, install ubuntu-desktop . 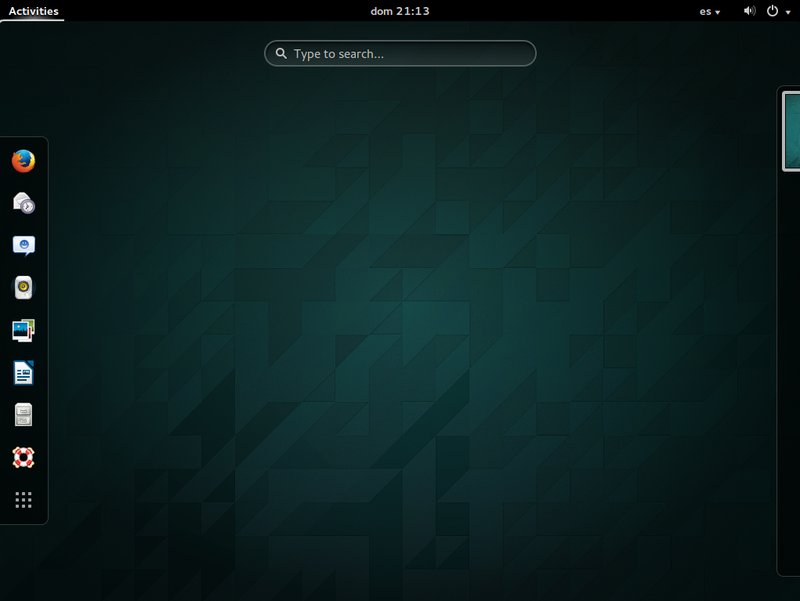 This is the KDE flavor of the typical Ubuntu (which is GNOME driven). The primary difference is that Kubuntu comes with KDE as the default Desktop Environment, as opposed to GNOME with the Unity shell. Kubuntu is sponsored by Blue Systems. Canonical stopped backing it in 2012, but it is still an officially recognized Ubuntu variant, which means that it gets build machines, test machines, CD image distribution servers, etc. dedicated to it. To convert an installation into Kubuntu, install kubuntu-desktop . Ubuntu GNOME aims to have a mostly pure GNOME desktop installed by default. Ubuntu GNOME is community-driven. It was originally called Ubuntu GNOME Remix; it was renamed to Ubuntu GNOME when it became officially recognized. Ubuntu GNOME is very new: its first release as an official derivative was 13.04 Raring Ringtail, which as of 6/9/13 is the current release. To convert an installation into Ubuntu GNOME, install ubuntu-gnome-desktop . This is a lighter weight, highly efficient and optimized flavor of Ubuntu designed to run on older computers. It uses Xfce which is a proven faster Desktop Environment than both KDE and GNOME. This is a typically simpler slim interface. Xubuntu is community-driven and operates under a Strategy Document. It is also officially recognized by Canonical (see Kubuntu for what that means). To convert an installation into Xubuntu, install xubuntu-desktop . Ubuntu Server is optimized for use as a server. It does not come with X.Org, and as such does not use any graphical environment like a desktop environment or a window manager. Instead, it comes only with a CLI environment. Ubuntu Server is commercially backed and supported by Canonical. 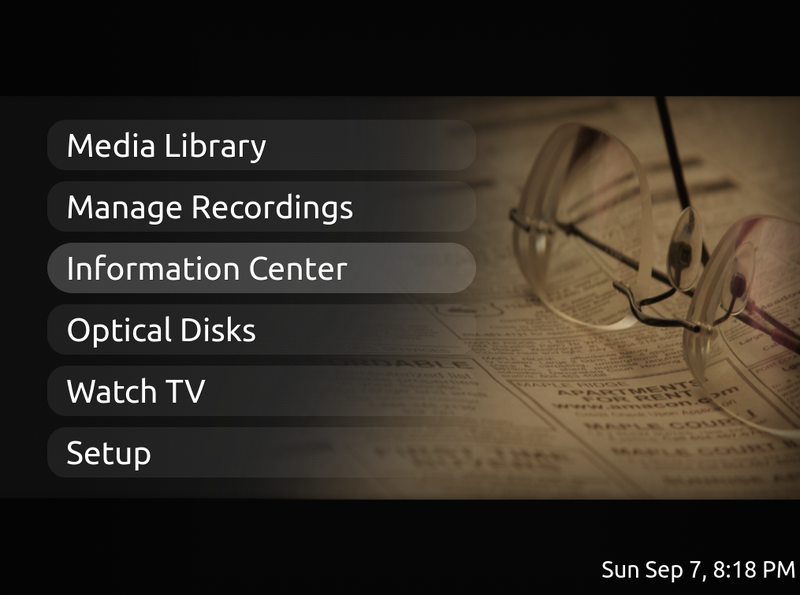 The counterpart to Xubuntu - Mythbuntu is designed to be an entertainment powerhouse. Focused around being a Media Center it includes many drivers and setups for TV Tuners, TV Out cards, and has a Media Center application (MythTV) integrated into the Desktop Environment to facilitate the entertainment powerhouse it advertises. 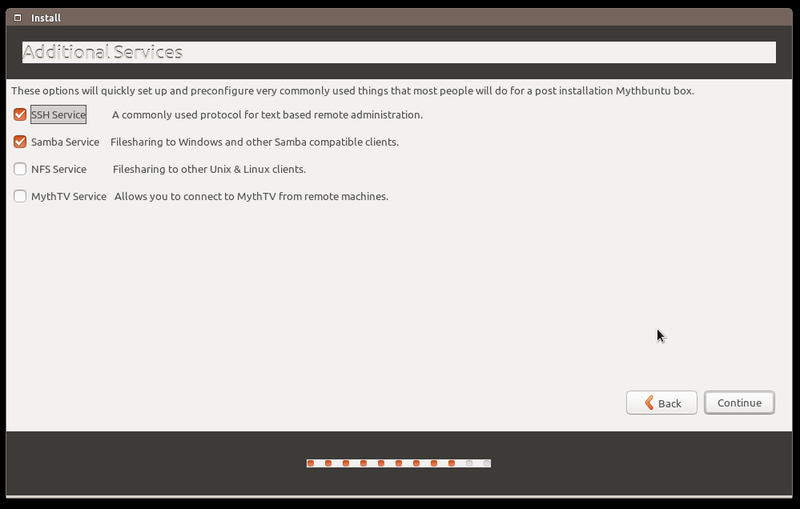 Mythbuntu is an officially recognized Ubuntu variant. To convert an installation into Mythbuntu, install mythbuntu-desktop . Lubuntu takes the aims of Xubuntu and pushes the Desktop Environment to an even more bare bones lightweight variant: LXDE (Lightweight X11 Desktop Environment) which is supposed to be an even more efficient, power saving, fast, lightweight Desktop Manager than XFCE. Lubuntu is community-driven. 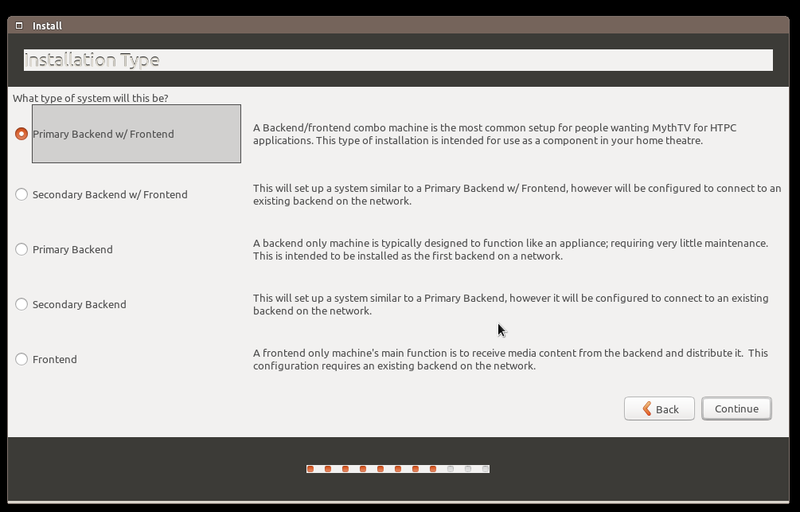 It is officially recognized as a variant by Canonical. 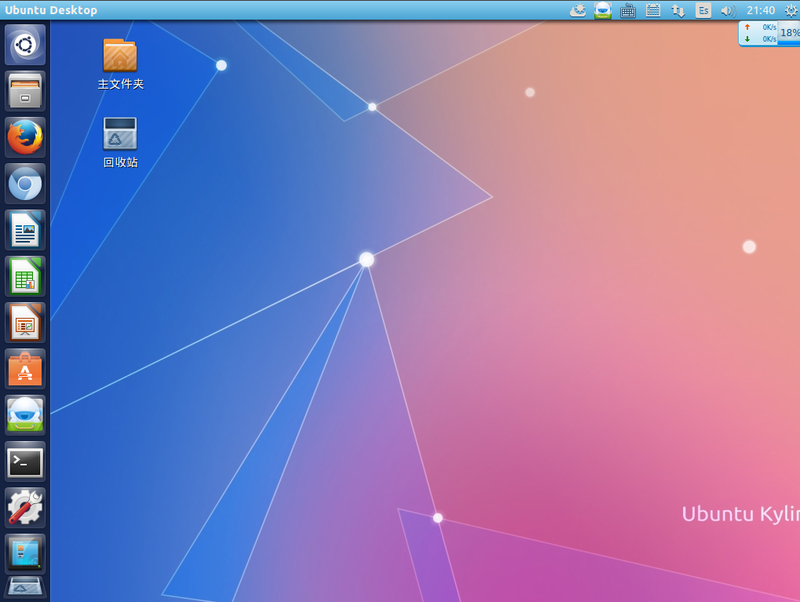 To convert an installation into Lubuntu, install lubuntu-desktop . I've used the first three before and I believe all have some backing from Canonical (or other corporate backing) while Lubuntu is still relatively new and community driven. Though if you have a very old/slow computer it certainly might be what you're looking for. This flavor is designed with Educational intent. Runs very close to the vanilla Ubuntu release though it comes with many additional applications that are best suited for an Educational environment. It also is configured and stylized with kids in mind. 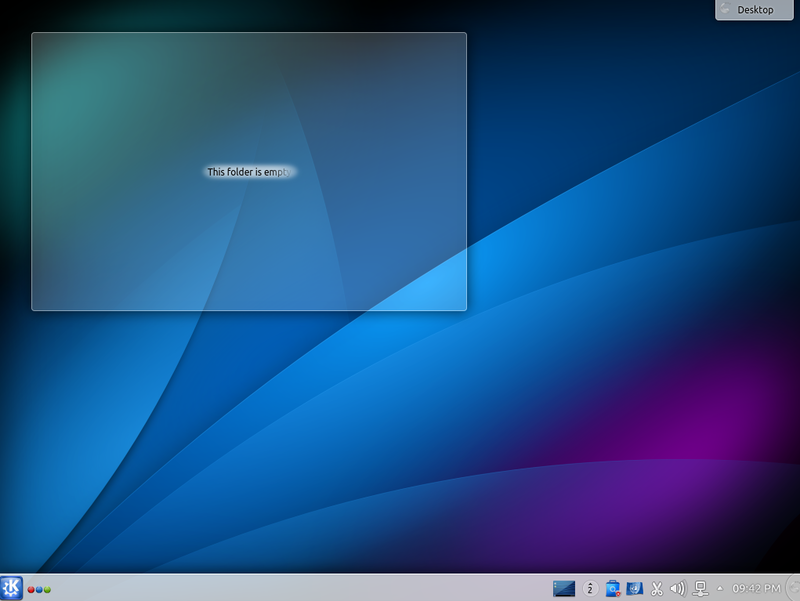 Edubuntu is an officially recognized variant. This flavor is geared towards those who deal with multimedia (Video, Audio, Graphics, Design) on a daily basis. Comes bundled with many applications, codecs, and drivers required to facilitate those activities. Ubuntu Studio is an officially recognized variant. Ubuntu CE (Ubuntu Christian Edition) is Ubuntu designed for Christians who wish to maintain an "Christianly" lifestyle. This comes bundled with a lot of religious software and security tools to help protect moral religious obligations. Ubuntu CE is an unofficial derivative. This project is idle, but it's intent was to bring stronger hardened security to the stock Ubuntu installation. It targets security practitioners like penetration testers. Nubuntu is an unofficial derivative. Fluxbuntu does not come with a desktop environment like GNOME or KDE. Instead, it only comes with a window manager called Fluxbox. Fluxbuntu is community-driven. It is an unofficial variant. The most common and known, Ubuntu uses the Unity Desktop as default and creates an standard desktop environment for TVs, smartphones and desktops. 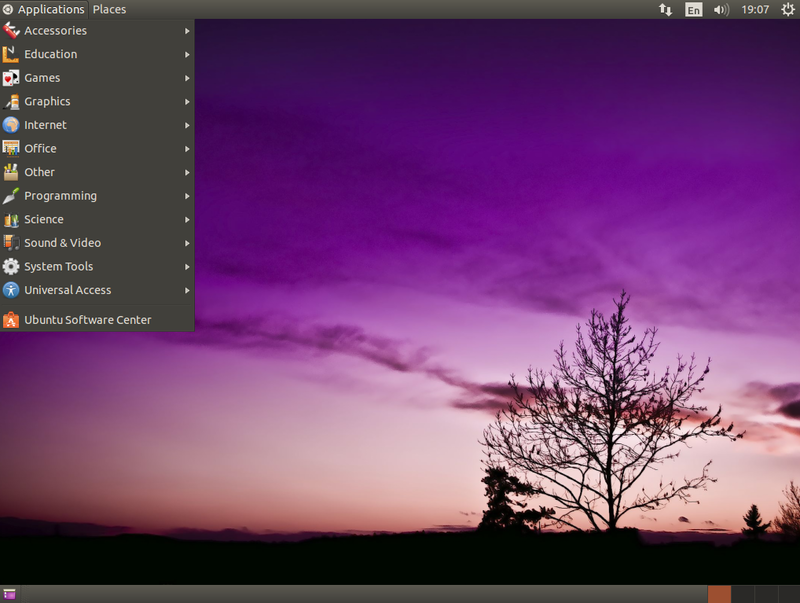 Ubuntu is not considered a lightweight distro although it works on some low end hardware. Most Windows users love this one since the transition from Windows to the KDE desktop is very easy to grip. To top it off, KDE is known to give pretty much many customization options for the user, ranging from general ones to very specific ones. This is also considered something bad (not from me at least) because it gives you a LOT of options to customize. Don't be amazed if you find an option for your fridge there. Like Ubuntu, Kubuntu is not a lightweight distro. It is one of the lightweight alternatives to Ubuntu. Easy to learn and recommended for old hardware that you want to bring back to life. 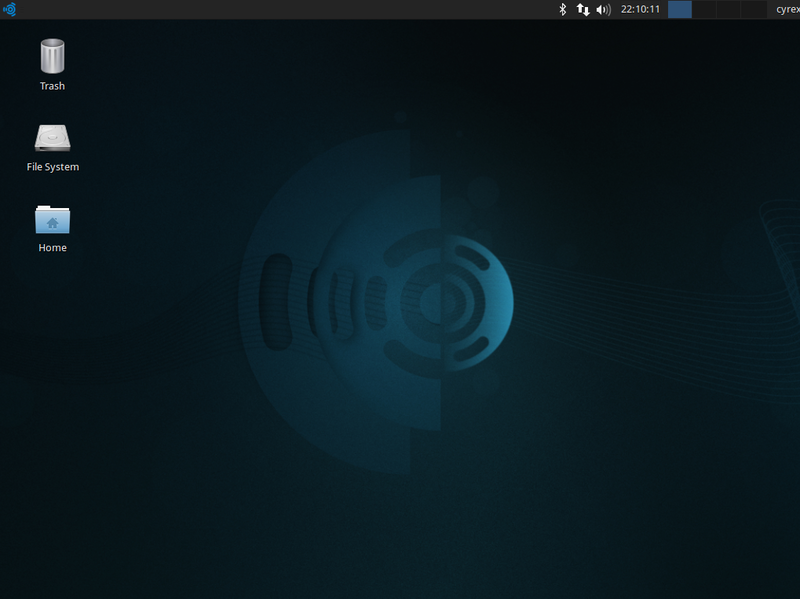 Like Lubuntu, Xubuntu is a lightweight distribution. 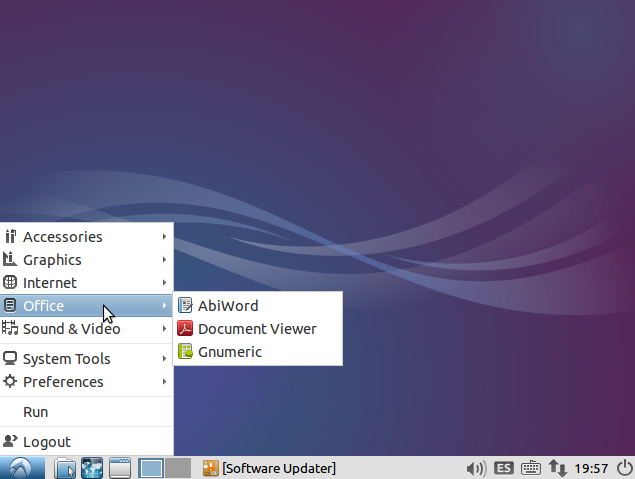 It offers several friendlier features than Lubuntu and it offers more customization. Focused on offering a complete HTPC solution. From TV recording and similar activities to wathing a Movie or TV Series list. For avid multimedia users, it focuses on the Multimedia aspects of a system, It offers video/audio design & edition, Multimedia Authoring, 2D/3D Design, several preinstalled video editors, audio editors, graphic editors, digital design, raw image applications and any other multimedia editor needed for a full blowned multimedia workspace. It offers users a sleek, fast and elegant desktop with many integrated features that work together to make the end user's life easier. 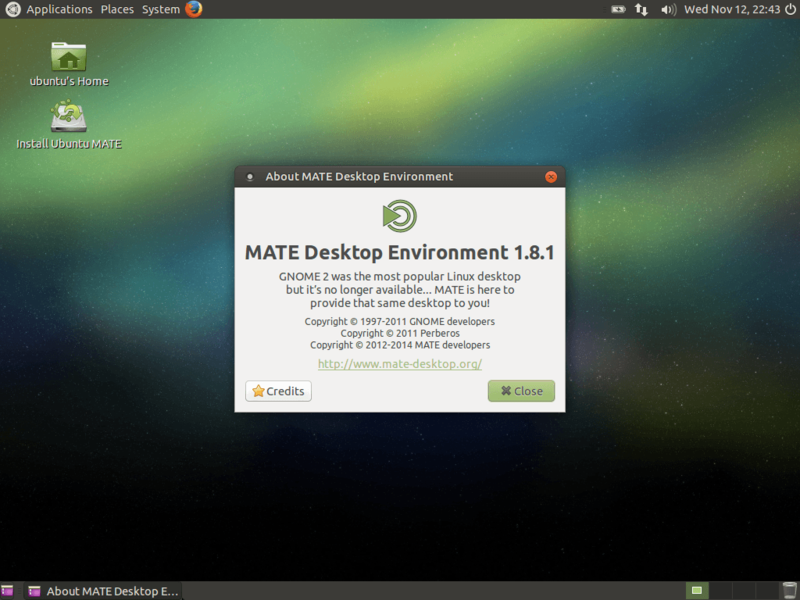 It offers users a new desktop look using the Mate Desktop experience and mixing features and hardware requirements from lightweight distributions with more robust distributions. A reborned unique desktop experience. 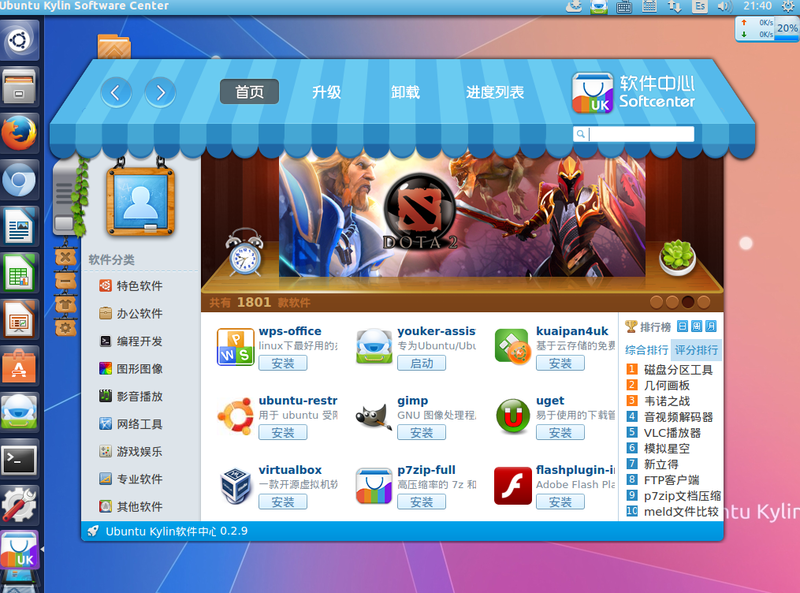 Developed primarily for China, Ubuntu Kylin offers many unique features not found in other flavors of Ubuntu (Apart from Mandarin as default ^^). It originated from the Kylin operating system designed in China by the National University of Defense Technology. The name Kylin comes from the Mythical Chimerical creature Qilin, which is a creature that when it appears it means a good omen (Prosperity or Peace). It is often called the Chinese Unicorn, which would be simply amazing when Utopic Unicorn arrives. For Benchmark, CPU & Memory Usage, Minimum Hardware Requirements, Recommended Hardware Requirements and User Recommended Hardware Requirements, ISO Download Size, Look after installed and Desktop used please see the answers below for the respective Ubuntu Distribution. General GPU usage and performance actually varies more on what type of Video card, CPU, Amount of RAM and Motherboard you are using than on what Desktop you are using. In any case, at the end you can see the overall FPS performance for each Desktop. For the Cases of Mythbuntu & Ubuntu Studio, there were no Office Suite. Because of this, the Full Apps tests for them, does not include any Office Suite. HDD Usage means the hard drive space used after installation. Firefox opened with 20 Tabs showing the following sites: Ask Ubuntu, Ubuntu, Lubuntu, Edubuntu, Mythbuntu, Ubuntu Studio, Ubuntu Gnome, Ubuntu Kylin, Xubuntu, Lubuntu, Kubuntu, Ubuntu G+, Launchpad, Phoronix, Ubuntu Discourse, OMG Ubuntu, WEB UPD8, Slashdot, Linux Foundation, LibreOffice. For the case of Mythbuntu which does not come with Firefox by default I used Chromium. I also had to exit the MythTV Application which launches by default to do the tests. The Real Hardware Requirements are based on my personal opinion on how the user would perceive Ubuntu when using it. Will it be slow or fast. Will it load apps quick or take longer. Is the desktop responsive or sluggish. How much resources does the distribution actually take. This are my personal hardware requirements when trying out this particular distribution, but as they are personal, they can vary from hardware to hardware and user to user. The objective is to give the user an idea of what actual requirements could be needed and proceed from there on. The CPU and RAM usage is to give the end user an idea on how much that particular distribution uses when having several applications opened. This should be taken litely since the scenario could change. For example having Blender opened while rendering a video can use more CPU and RAM than having LibreOffice opened with several documents. So do not take this resource usage seriously, only use it as a basic guide, especially since the type of CPU and CPU power can dramatically change the usage value (Eg: Comparing an Intel P4 2.4Ghz with an Intel i7-4770). THe CPU and RAM usage is tested AFTER the process has finished loading. This means that the CPU might spike when loading an application but will then settle after the loading process has finished. The average value when settled is the one I take into account. Same goes for RAM. The installation process is really fast. Booting was very fast. It got to a point where I did not know if I had actually rebooted or not because the monitor did not refresh that fast. Lubuntu is simple, fast and elegant. It uses a desktop with that Windows users will enjoy since it has the same look and feel as Windows XP. Xubuntu is simple, fast and elegant and yet customizable, even to a point of turning it in a Windows or Mac clone. Because it uses the Gnome Shell, the way the user interface appears, it feels like you are using a futuristic version of some operating system. Looks very good (I feel like I am 10 Years in the future and this is coming from a 99% Unity user). Similar to Unity, it has a harder learning curve, even when compared to Unity, but if you learn to use it (Took me 25 minutes the first time), you can do many things very quickly. It offers many integrated features for applications like chat, webcam, documents and more, everything with a very sleek design. Has a very unique look for the installation process. 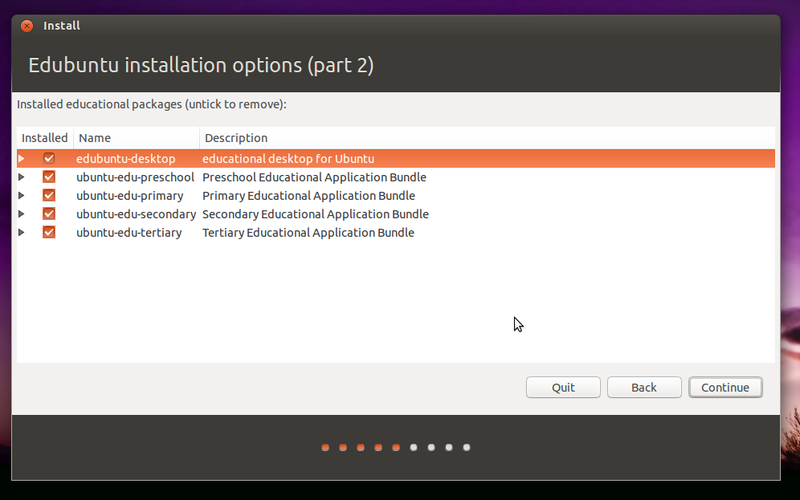 The installation process took a bit longer than any other Ubuntu distribution. KDE is an awesome desktop with a lot of options for all users. For a Desktop that offers so much, it has a pretty low resource usage. In fact, when doing some tests it showed excellent resource management. KDE has come a long way and it is awesome. The various different versions of Ubuntu differ only by branding and the default set of packages. On the inside all of the variations are similar and can be easily extended to include packages from each other just by going to the package manager and installing the packages you want. So in a way there aren't that many differences between them. On the other hand by default they focus on different things. Kubuntu focuses on KDE tools while Ubuntu focuses on Gnome tools and so on. So in the end it's mostly about your preferences. Which one is most suitable for your old system depends a lot on how old the system is and what kind of hardware it has. The lightest ones of the bunch are lubuntu and xubuntu, not that others are too demanding either. If I can, I would like to make a correction here. 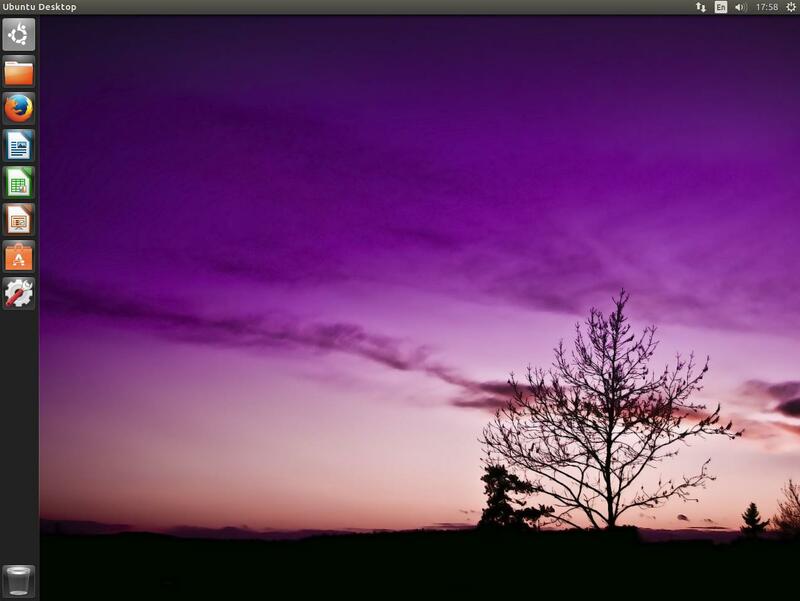 Ubuntu and Kubuntu receive official support from Canonical, the corporation behind Ubuntu. Xubuntu has not ever received support, although it is recognized as an official derivative. The developers of Xubuntu do so on their own time as volunteers. For use in an older computer, I would suggest either Xubuntu or Lubuntu, both of which are designed to use fewer resources than Ubuntu and Kubuntu. It's all here on Wikipedia, including neat descriptions. The most common and known, Ubuntu uses the Unity Desktop as default and creates an standard desktop format for TVs, smartphones and desktops. 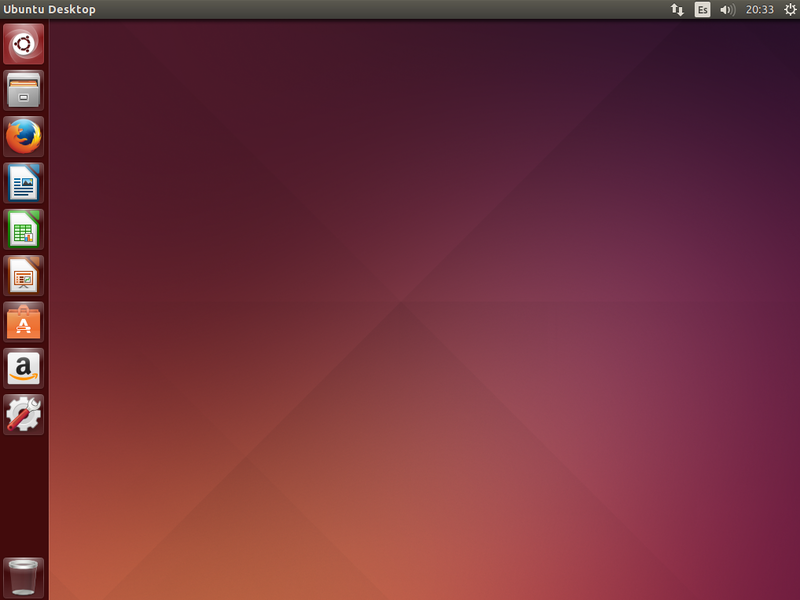 Ubuntu is not considered a lightweight distro although it works on some low end hardware. Learning to use the Unity Desktop can be a bit hard in the beginning, especially if you are coming from Windows, another Linux distribution, an older version of Ubuntu or a Mac. I tested the Unity desktop (Ubuntu 14.04.1) on my wife, a friend that uses Windows 7 and another that uses Mac. I could not say anything about the environment and they had to learn on their own how to use the Dash, the Launcher, change System Settings, install and find applications, use the File manager and connect to the network. My wife took 30 minutes, while my Windows 7 friend took 20 minutes and my Mac friend took 10 minutes. So even if the appearance is completely different, all of them after two weeks told me positive news about how Unity behaved, from making them more productive (Quicker apps access, dash shortcuts, etc..) to simplifying steps to get a job done (Launcher, the HUD and more). More than anything, for the Unity Desktop to be responsive, you need a good video card. I would recommend any video card that has 256 MB of RAM or more. With that in mind, I have actually tested 128 MB with no problem with the latest Unity, so the minimum requirements for it might be going down with newer updates. Focused on education. The installation procedure offers many prebuilt learning packages for math, biology, drawing, chemistry, logic thinking and more. In Edubuntu I do not recommend using the Unity Desktop since the Educational applications are not shown straight away. The user would need to know them first before searching for them on the Unity Dash. I recommend using the optional Gnome Fallback until the user knows the name of the apps. Edubuntu comes with an amazing arsenal of tools to have a classroom operating under Linux in no time, including Student PC remote control, remote teaching, many educational applications for all levels and more. This is really an amazing distribution. Kubuntu, Mythbuntu, Xubuntu, Edubuntu, and Lubuntu are all based on Ubuntu but use a different desktop environment. Ubuntu uses Unity and Kubuntu uses KDE and ect..
Mythbuntu is a Media environment. Xubuntu and Lubuntu are genrally considered very lightweight compared to the rest. Edubuntu is an educational version of Ubuntu. Since this is the Ubuntu distribution from China, the default language to install is Chinese (Mandarin), so you need to press F2 when the LiveDVD or LiveUSB shows up in the case you don't read Mandarin. It uses the Unity desktop with a blue style that delivers a more "happy" environment. When turning the computer off or rebooting, it includes a cool shutdown animation. On the top right corner, just below the Cog to access the Ubuntu settings, Ubuntu Kylin offers a Bandwidth Transfer Speed widget with a clean up option attached to it. Ubuntu Kylin, apart from the Official Ubuntu Software Center, has it's own Software Center called, you guessed it, Ubuntu Kylin Software Center. The default search engine in Firefox is Yahoo. This is a complete and amazing designed system. It has a full audio & video suite. It offers many 2D and 3D design applications and offers many multimedia apps for specific goals. Amazing. Ubuntu Studio includes Wine by default. 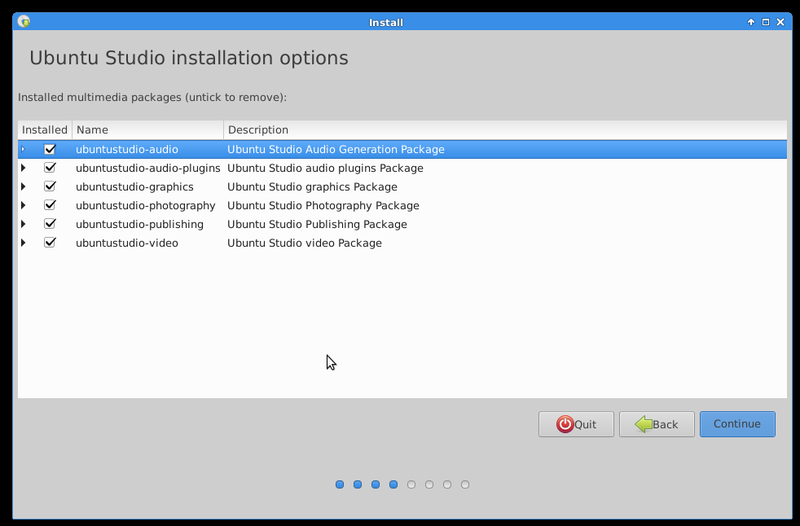 By default, Ubuntu Studio does not come with any Office suite (It is a multimedia distribution), but it does offer an option to install them. For this particular distribution it offers Abiword and Gnumeric or the complete LibreOffice suite. This is a Entertainment MythTV Ubuntu specific distribution, because of this, it does not include many applications we normally see in other flavors like an Office Suite and several system tools. What are the differences between Lubuntu, Kubuntu, and Ubuntu? What version of Ubuntu should I pick? What is the difference between the various Ubuntu flavours? If Lubuntu uses the same repositories as Ubuntu, can it have OpenShot & GIMP? What are the security support statuses of derivatives? What are the official Ubuntu Derivatives? Which ubuntu derivatives plan to support xorg in the future? What does “official Ubuntu flavour” mean?